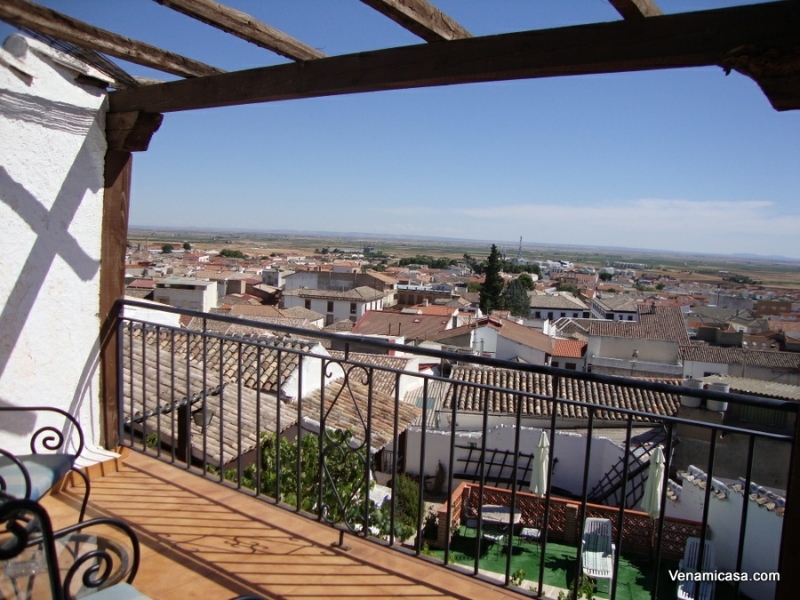 Castilla (the name is derived from the word `castle´) is perhaps what many people consider to be the `real´ Spain. 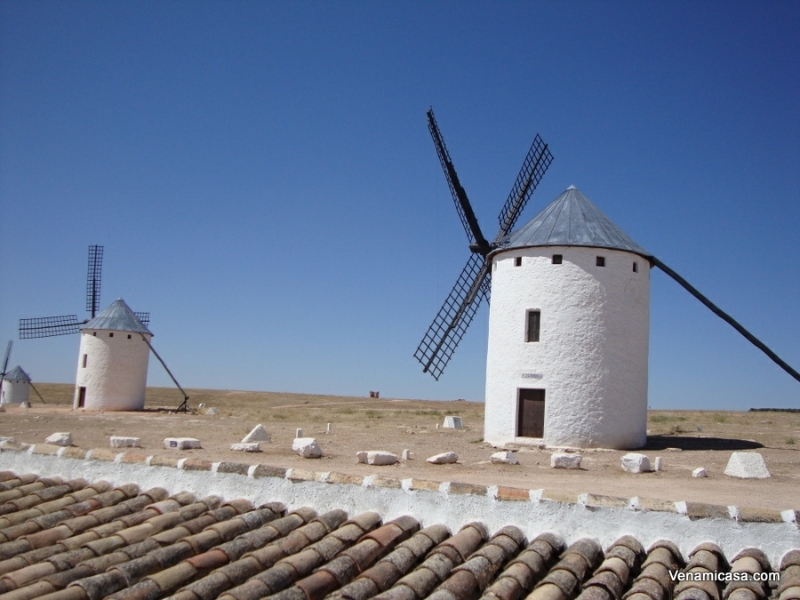 Alcázar de San Juan in the province of La Mancha, is the city established as the basis of this educative visit. 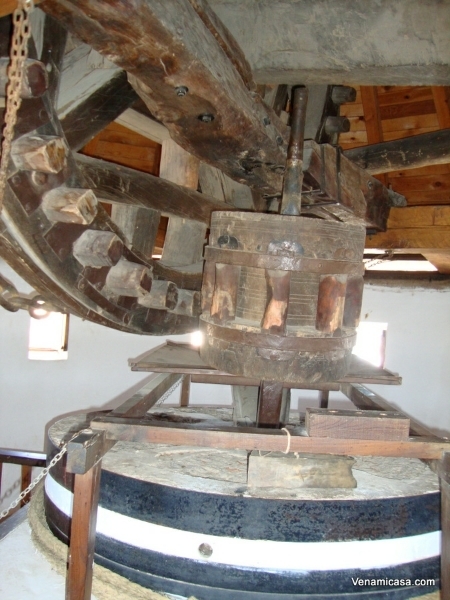 (arrival and departure of the group). 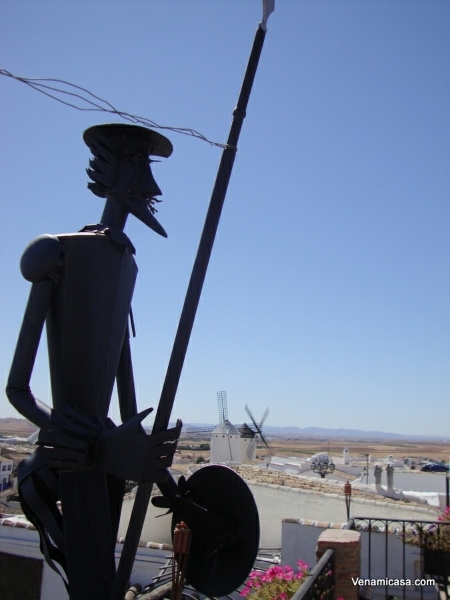 The land of Don Quijote, that conjures up visions of vast plains, sweeping sierras, and oasis-like cities steeped in history rising up from the heat haze. 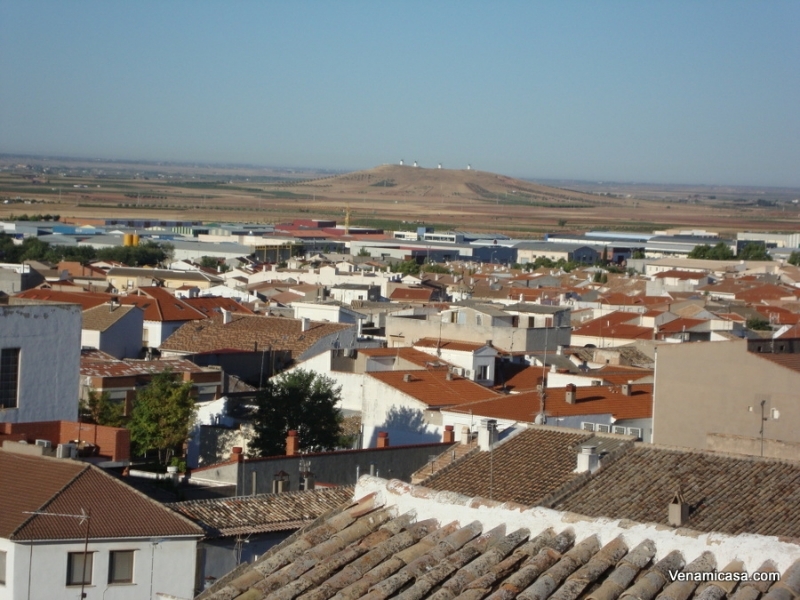 The organization of this educative visit is based in the visit to the major towns and cities of Castilla la Mancha province, which are a short distance all of them from the city of Alcazar de San Juan. 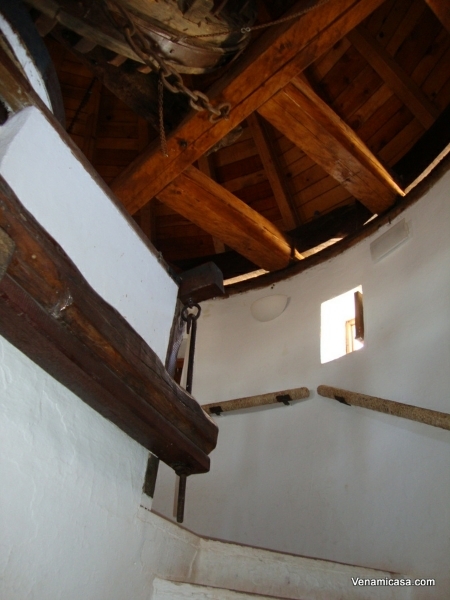 Alcázar de San Juan, Heart of La Mancha, in his church Santa Maria La Mayor is preserved the baptismal certificate of Miguel de Cervantes Saavedra, the creator of the work of world literature: Don Quixote (Cradle). 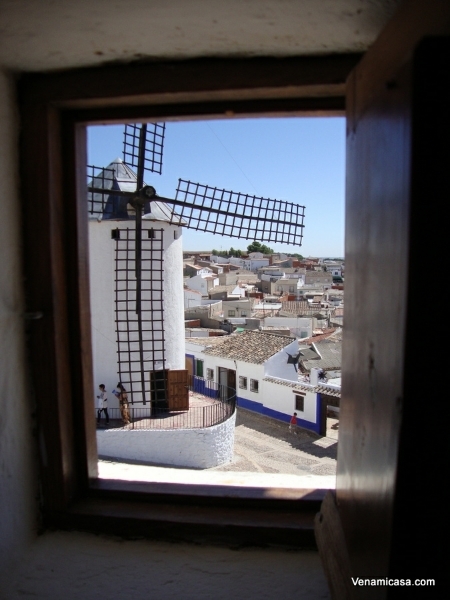 Begin a journey in the morning throught the life of a gentleman from La Mancha at the Museo del Hidalgo (Museum of the Gentleman) located in a former manor house from the 16th century with the exhibition of original pieces of great value with audiovisual resources and hands-on an interactive displays, must visit and of a great cultural value, one can discover the daily life of the gentlemen that inspired Miguel de Cervantes when he created the character of Don Quixote. 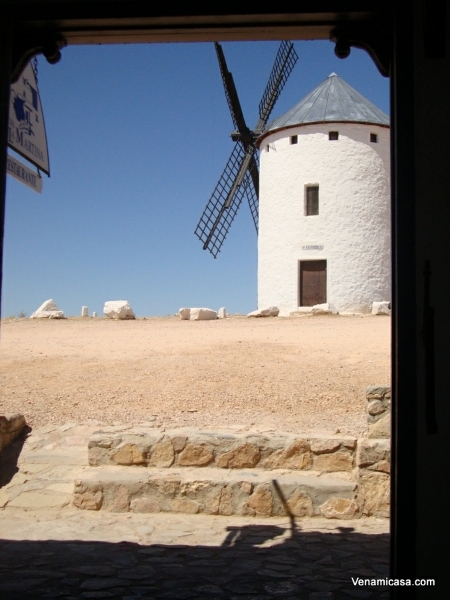 In the afternoon visit to the windmills in the Sierra de Alcázar de San Juan (Saw of Alcazar) is spectacular, indescribable sunset sun, a landscape unique in Spain because other regions of Spain, have nothing to see with this. 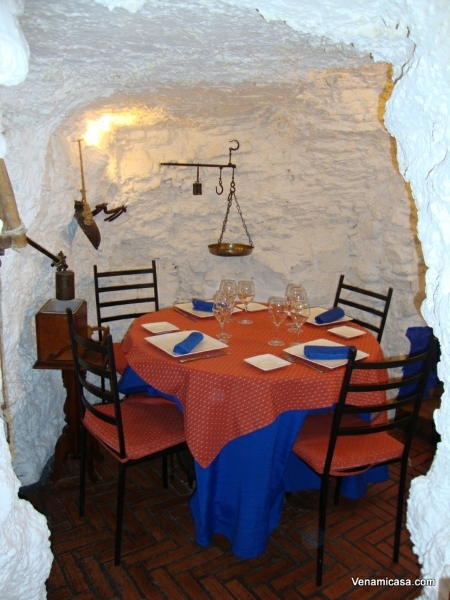 Argamasilla de Alba, is the Cueva de Medrano (Medrano’s cave), prison where Cervantes wrote this universal work (Writing). 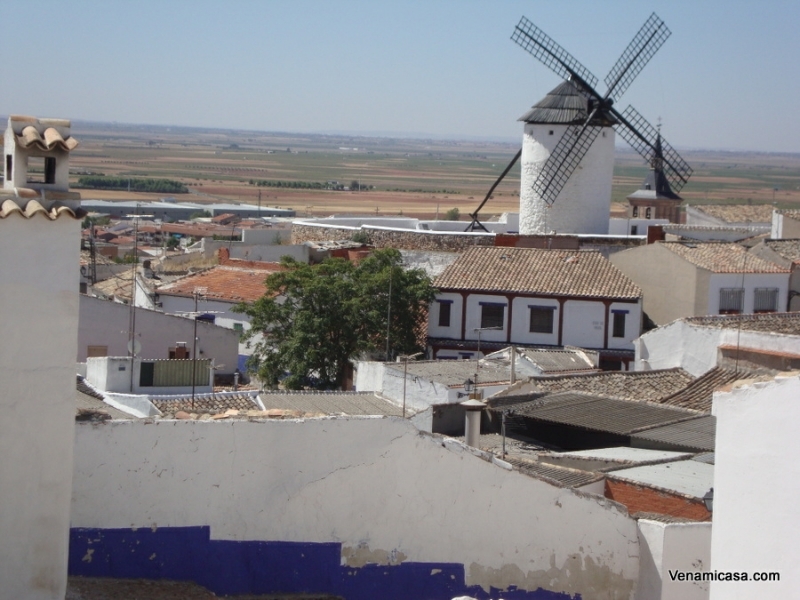 Campo de Cripana: Land of Giants, and Consuegra. 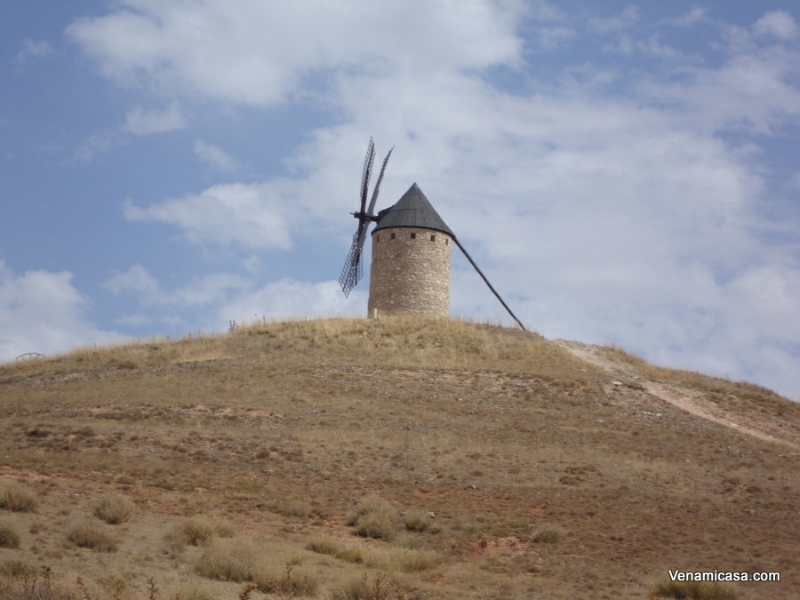 Spectacular landscapes with windmills and cave houses which were the inspiration of Cervantes for the most international literary work in history. 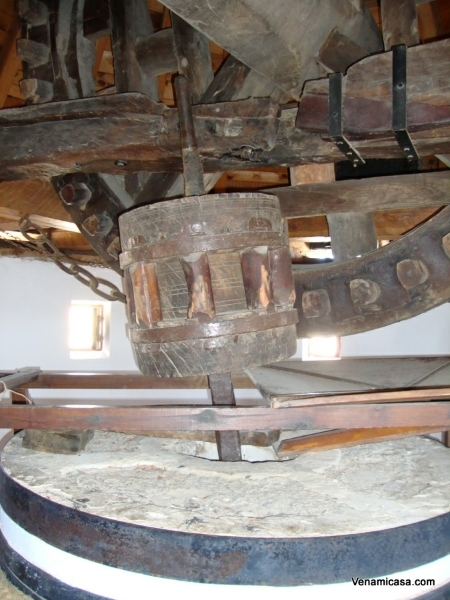 The windmills retain the original structure and mechanism of the sixteenth century still working some of them today. 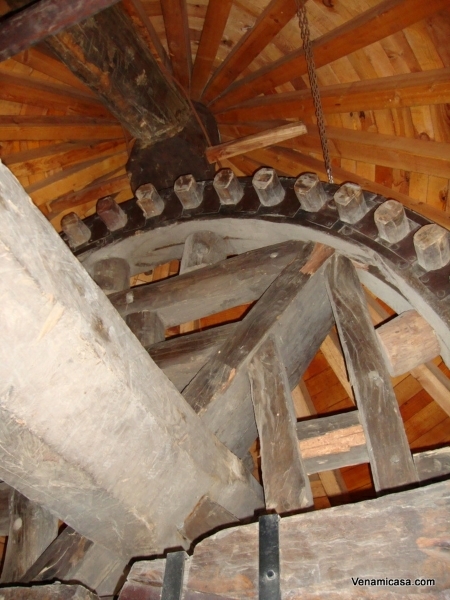 (Adventure). 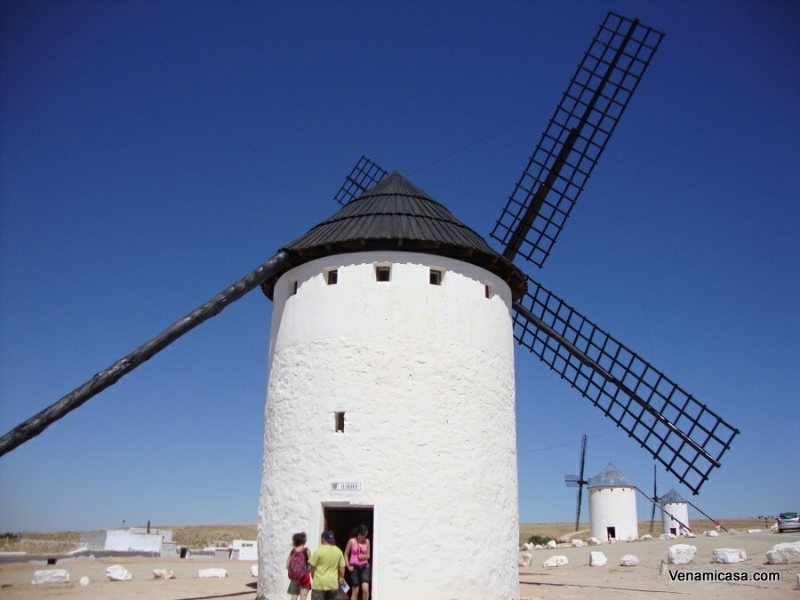 According to Cervantist scholars, it was here in Campo de Criptana that Don Quixote’s most popular and well-known adventure took place: his battle against the giants that turned out to be windmills (Chapter 8 of the first part of Don Quixote). 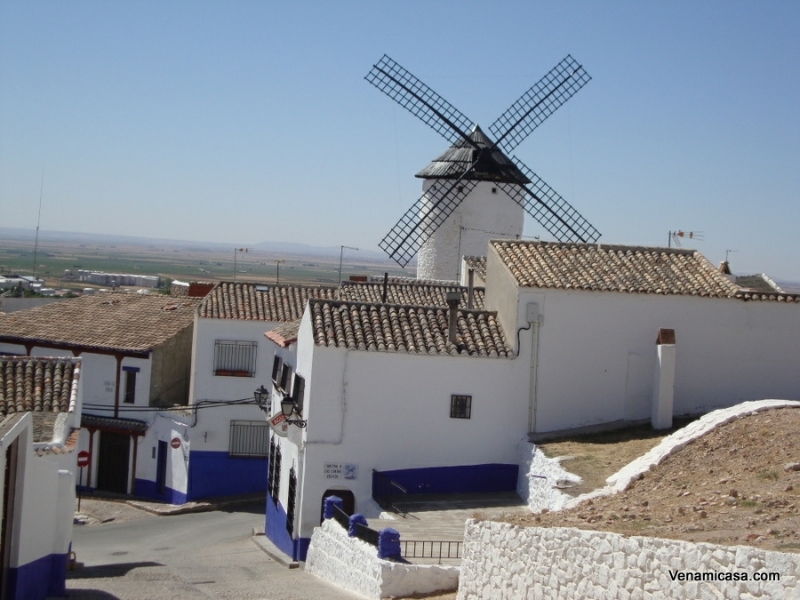 The most characteristic feature of Campo de Criptana are the windmills and the Albaicín Criptano, with its narrow streets, the cave houses, steep slopes and whitewashed one-story houses with indigo skirting boards typical of La Mancha. 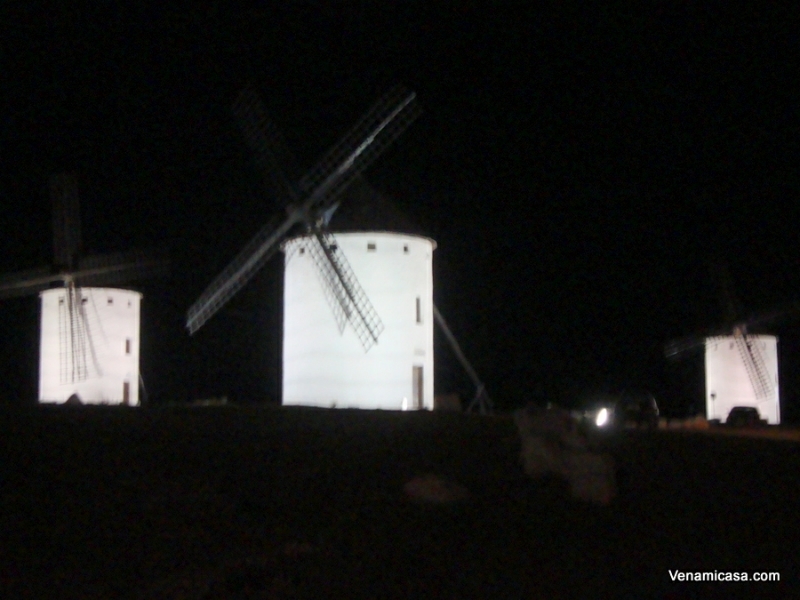 The Campo de Criptana Windmills are considered Cultural Property and the Infanto, Sardinero and Burleta Windmills are considered, in turn, Monuments of Historical and Artistic Interest. 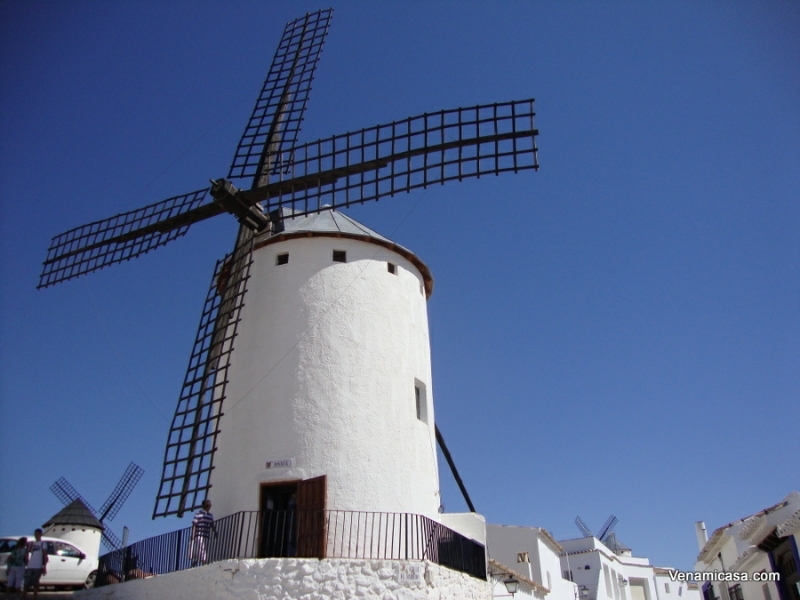 Essential visits: The Windmills (Villa de Criptana’s symbol of identity), the Albaicín Criptano, El Pósito (The Granary), the Caves, the Shrines, Nuestra Señora de la Asunción’s Church and the Cellars. 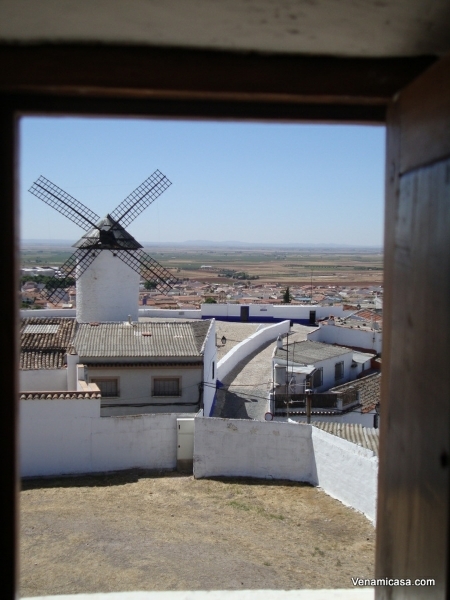 El Toboso: Dulcinea homeland, is the home of Universal Love of Don Quijote (Love). 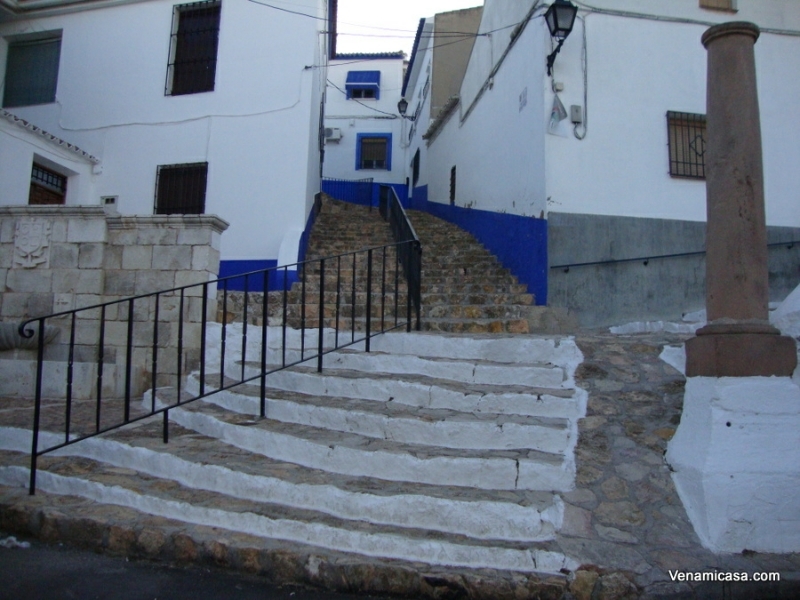 Puerto Lápice: owes its existence to Las Ventas, in the sixteenth century the population did not exist, only a group of houses settled in the way of passage and giving lodging to the traveller. 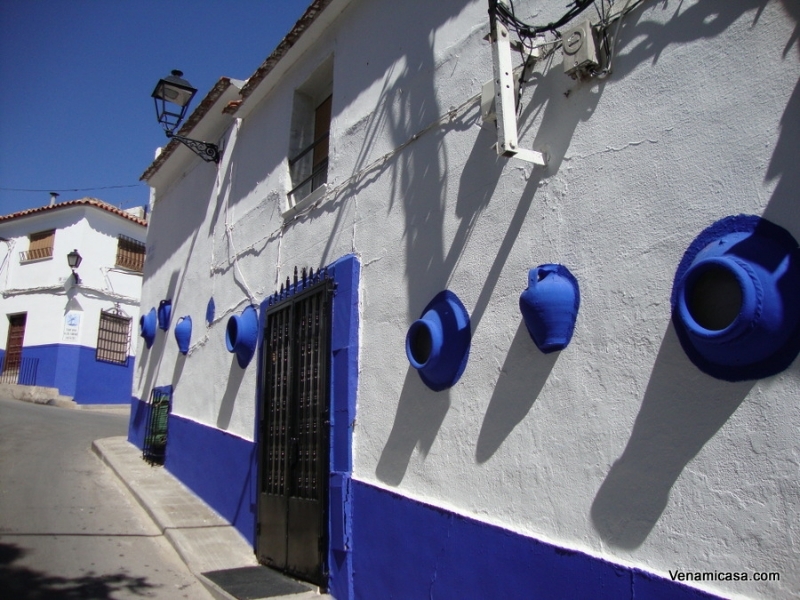 This gathered it its name, as it was called Puerto Lápice sales until 1774. 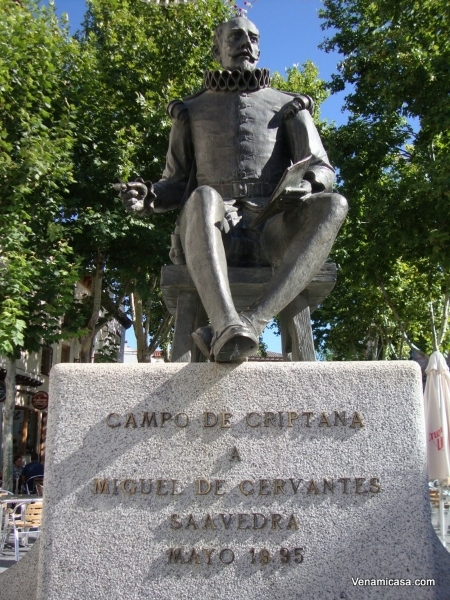 Carlos III granted independence as villa. 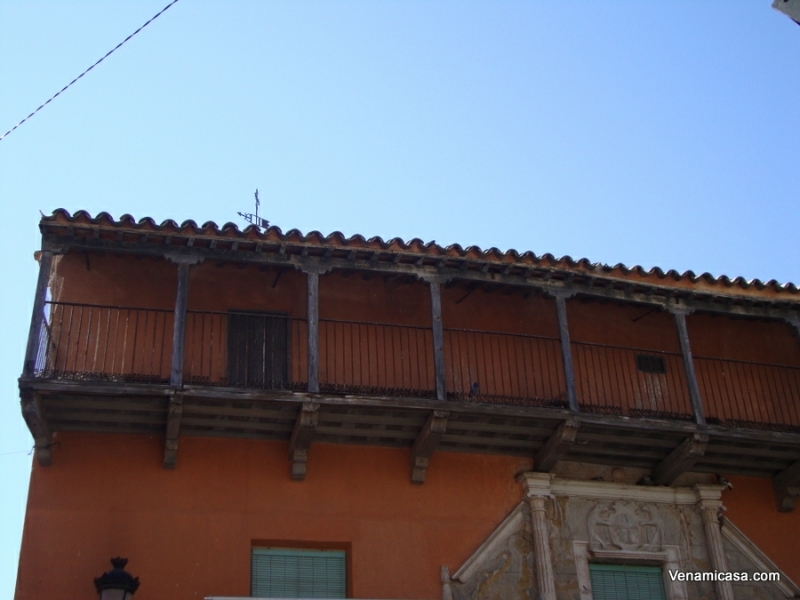 Las Ventas are buildings typical from La Mancha, lifted around a central courtyard, with arcades, stables, inn and rooms for overnight stays of travellers and their horses, which were also accommodated in the stables and pastures. 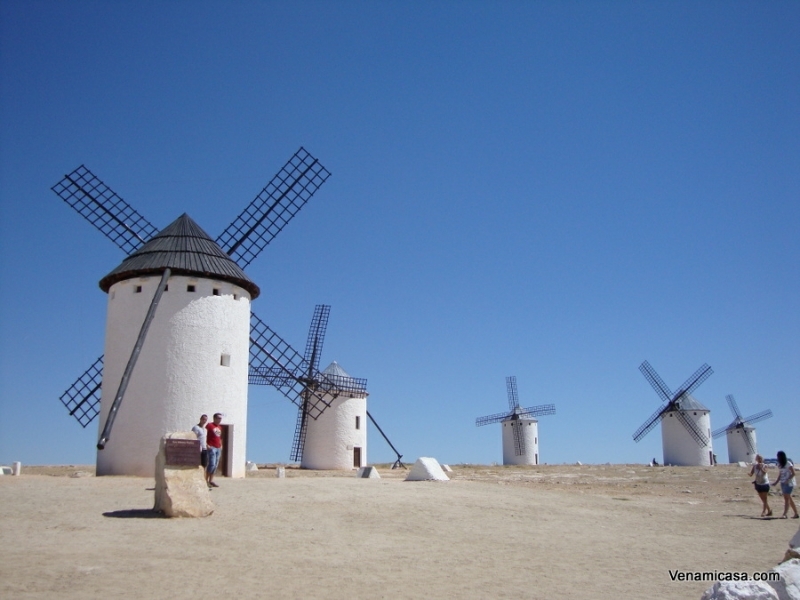 An inevitable scene in La Mancha are the windmills. 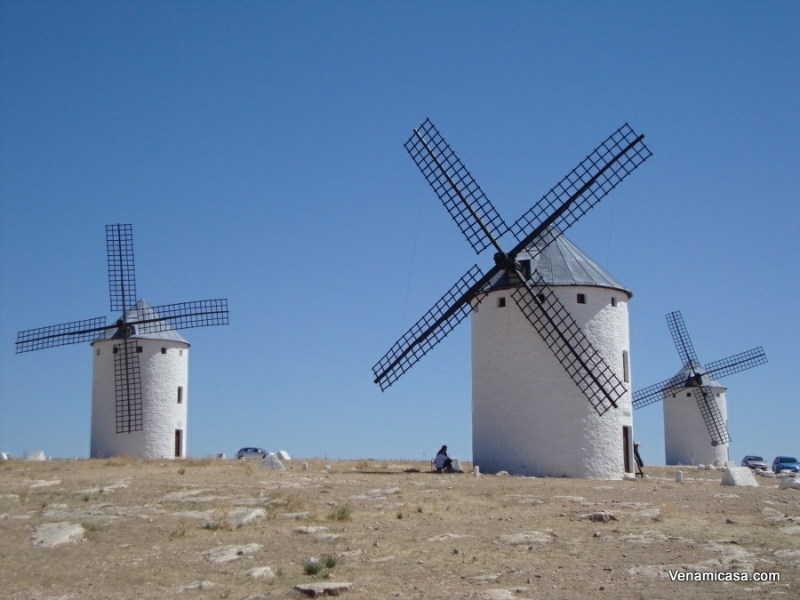 As already describe, the best preserved windmills with wonderfull landscape are in Alcázar de San Juan, Campo de Criptana and Consuegra cities. 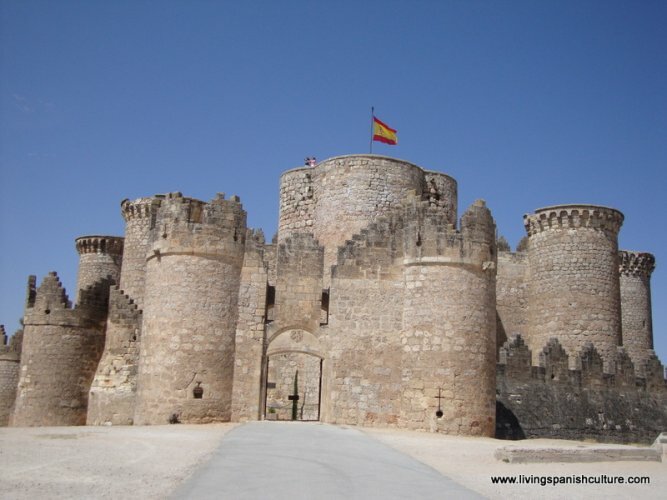 To follow the trail marked by the castles is essential and in our way to the visit to La Mancha. 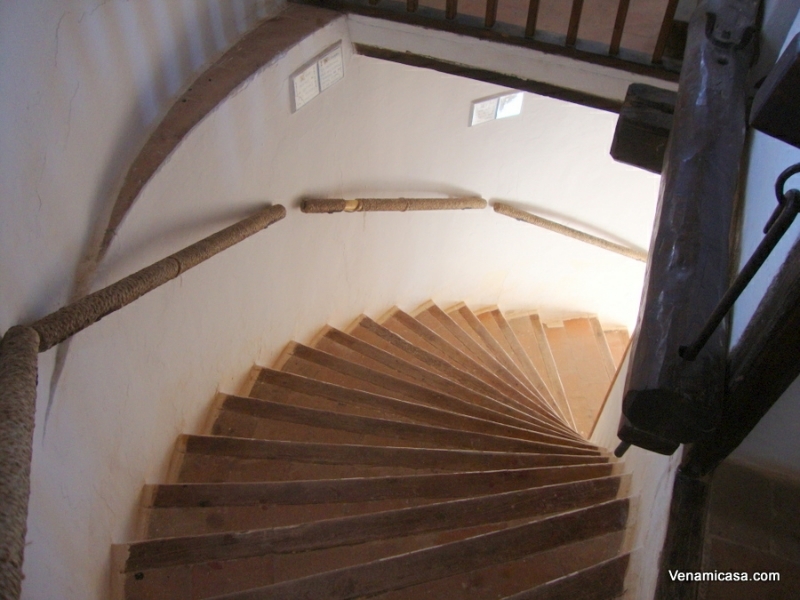 Outsized eyewitnesses of History, castles are always situated on hilltops, promontories or sites with commanding views of surrounding countryside. 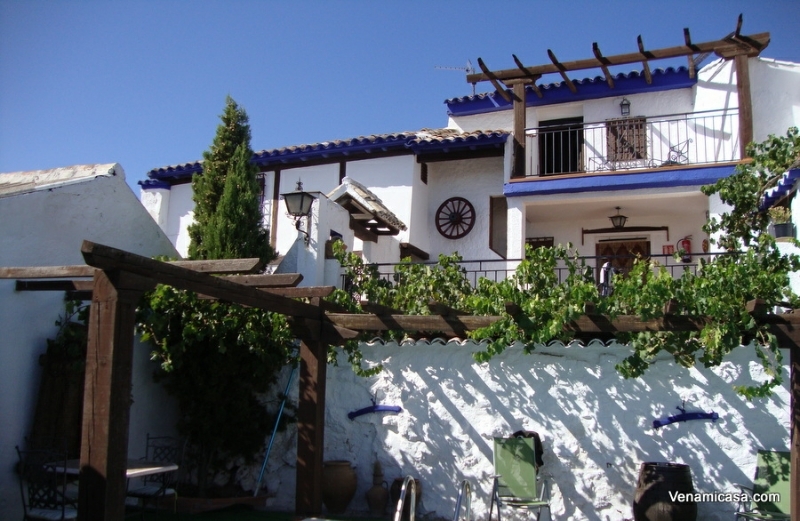 Visiting them takes us from one idillic setting to another, offering the finest views that ancient wisdom could secure. 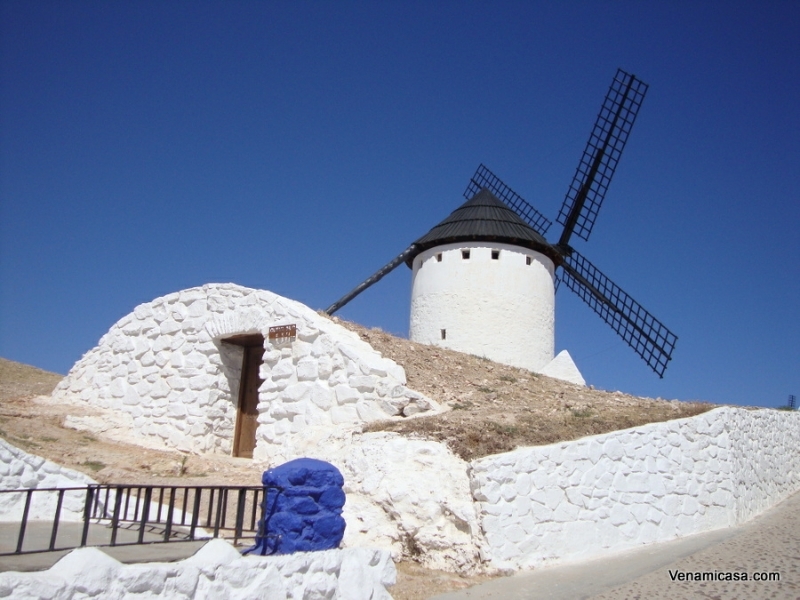 The most interesting castles that once in this area worth a visit are Orgaz in Consuegra and Belmonte (Cuenca) only 55 km. 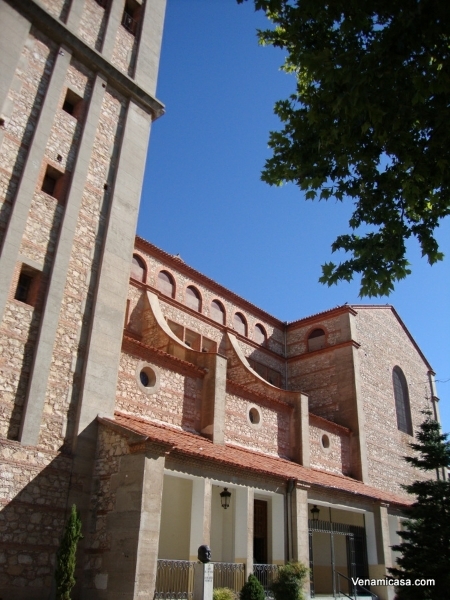 one from each other. 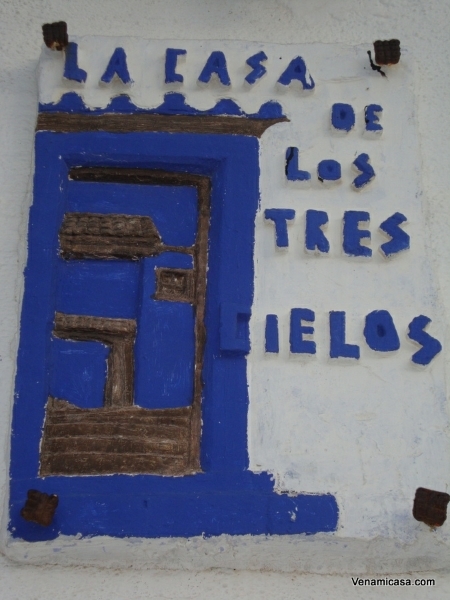 Film-makers have focused on these landscapes on many occasions. 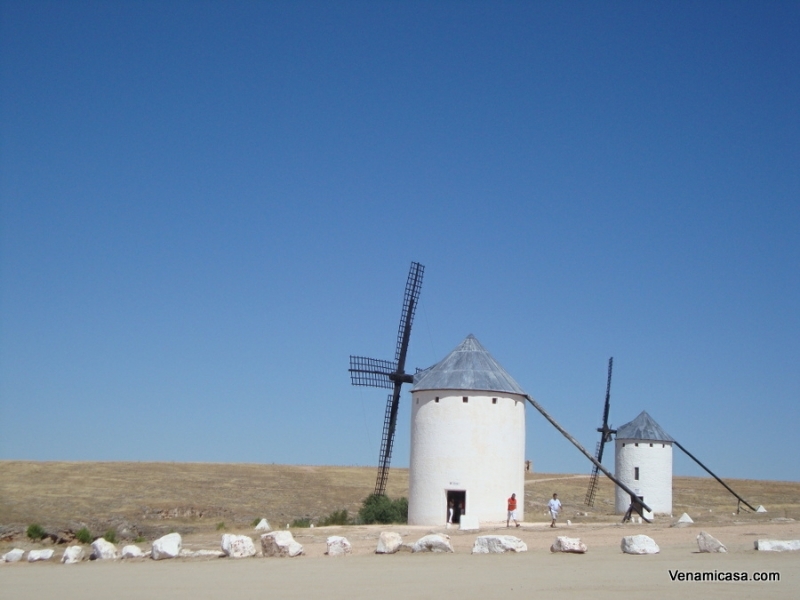 The most international of our film directors, the Oscar-winning Pedro Almodóvar, is a famous son of La Mancha who has left the mark of his homeland in many of his films describing magical landscapes and places of La Mancha depicted on the films. 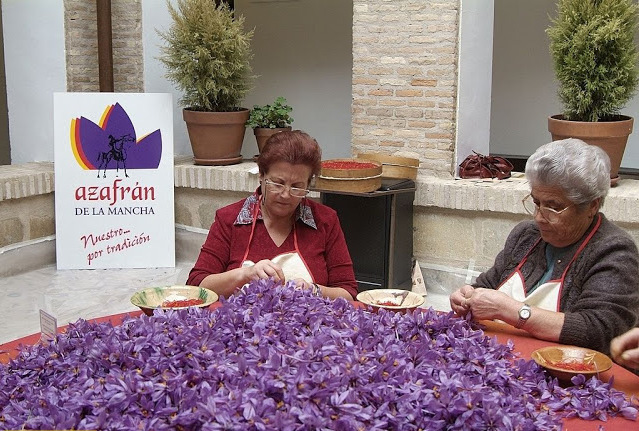 Thanks to the historic handicrafts tradition which the people of La Mancha have maintained, there are now all kind of tours in which we can get to know, to feel and to practise the different arts and crafts that still survive in La Mancha which give us the chance to live feel and understand the intricacies of their crafts, interesting and atracctive visits, characterised by their extensive “hands-on” content. 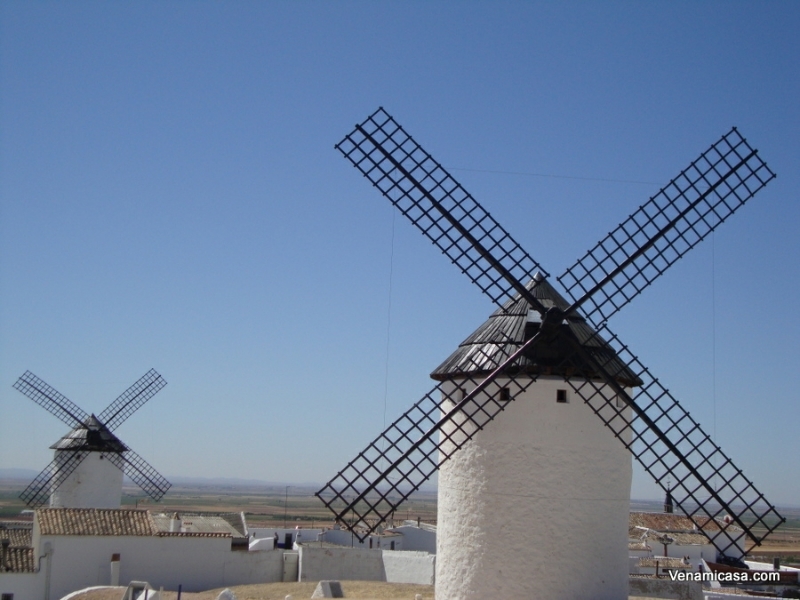 See our Cultural Activities and Workshops in Castilla-La Mancha page. 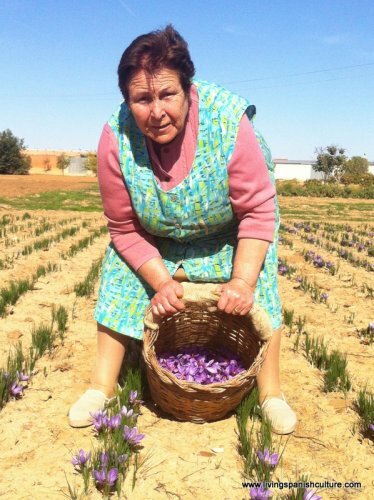 In the culinary stakes, Castilla-La Mancha is firmly rooted in tradition, in its home cooking based in the abundance of its game dishes and the quality of its fruit, vegetable and pulses. 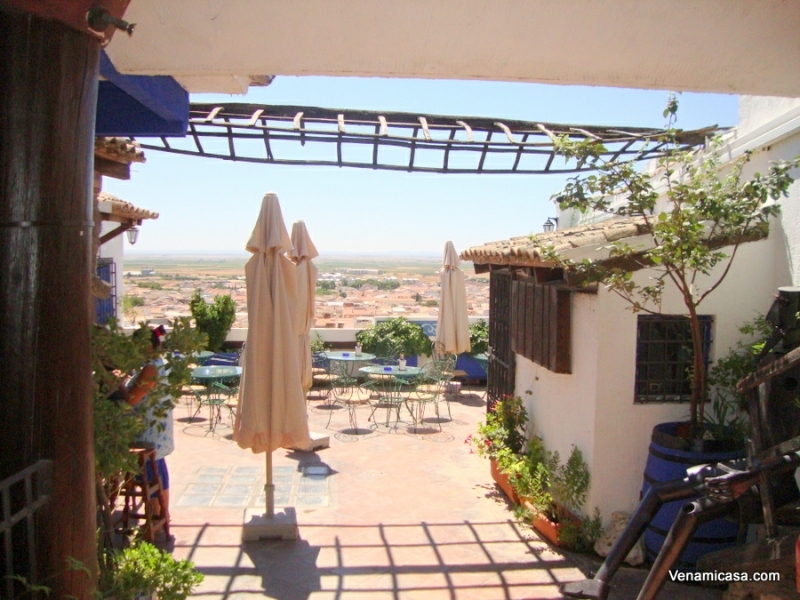 Its gastronomy reflects yet again that blend of roots in La Mancha. 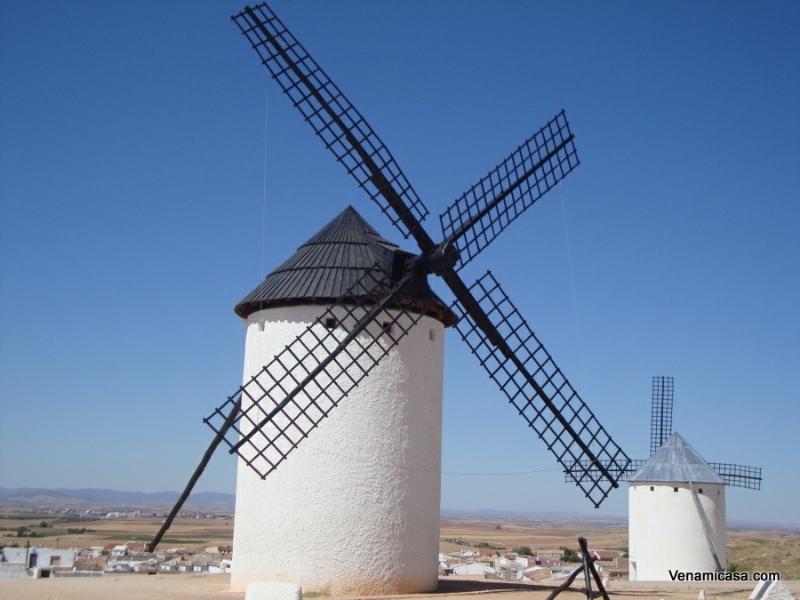 Castilla-La Mancha is the biggest wine-growing area in the world. 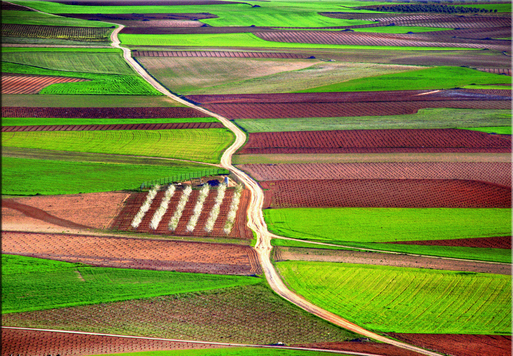 Its surface area contains half of all the vineyards in Spain. 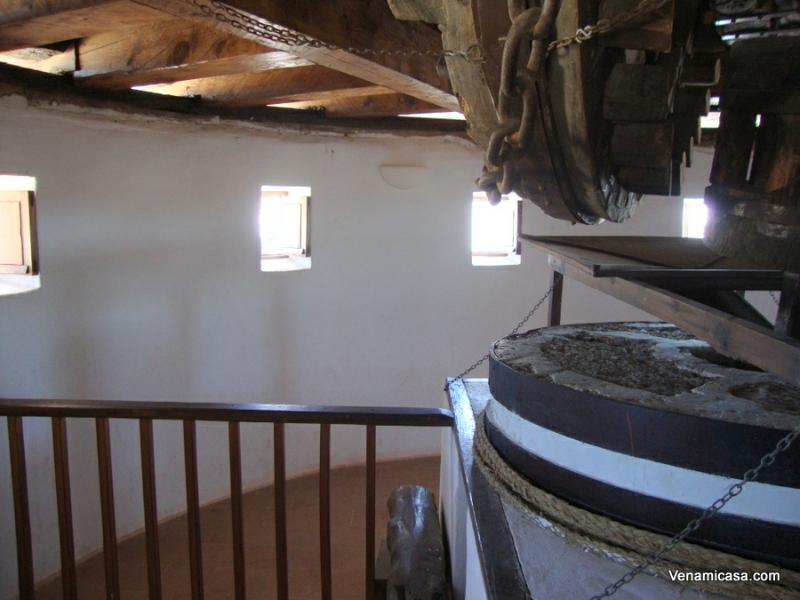 Its grapes go to make a wide variety of red, white, rosé and sparkling wines, which have given rise to numerous highly regarded Designations of Origin that makes Castilla-La Mancha a premiun destination for wine lovers and attract experts from all over the world. 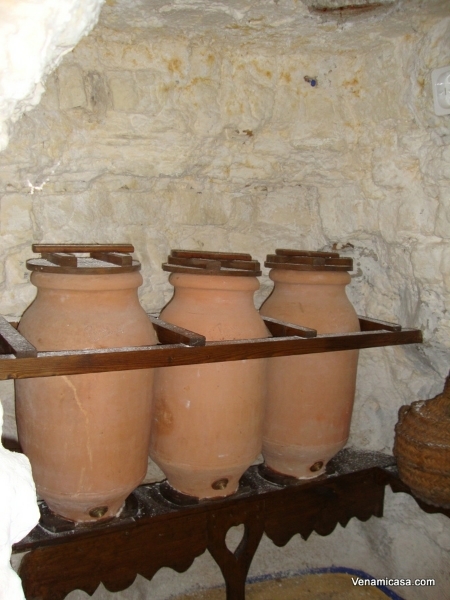 Visit to wineries, wine tasting and matching courses, the chance to take part in the grape harvest of the wine museums, are available to all comers and a perfect complement to other types of leisure or activities. 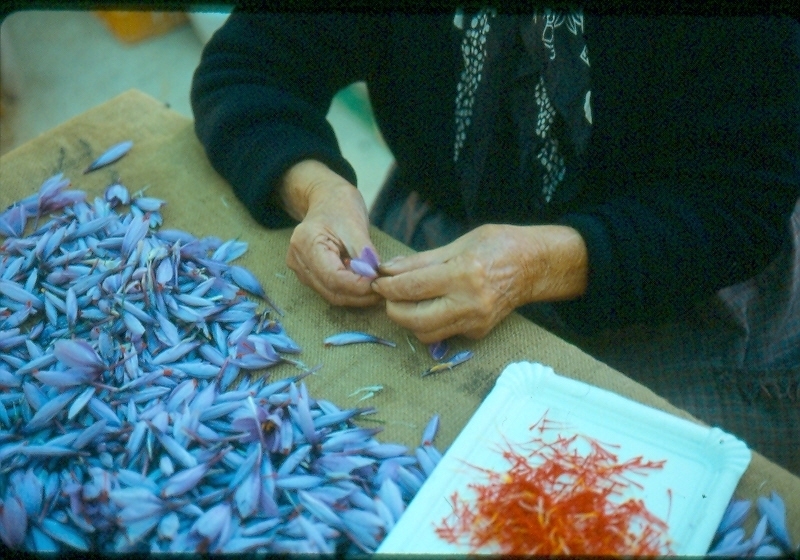 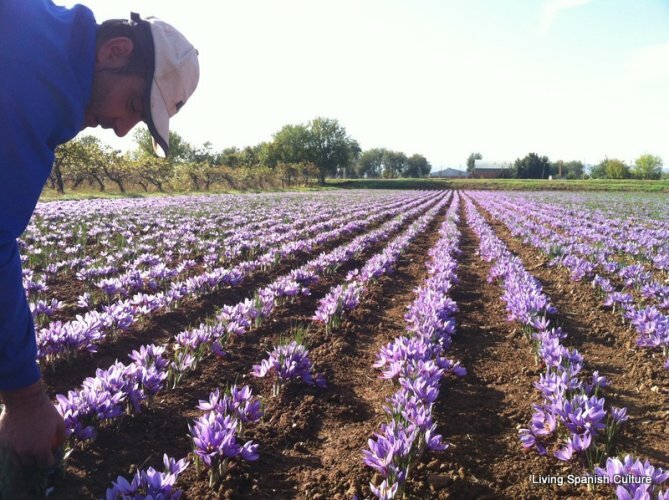 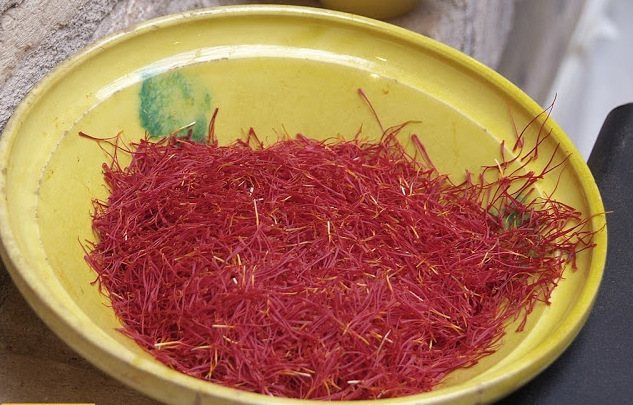 Venamicasa invites you to experience the extraordinary and entire process of the best saffron in the world, only grown, produced, manufactured and packed in their place of origin: La Mancha.